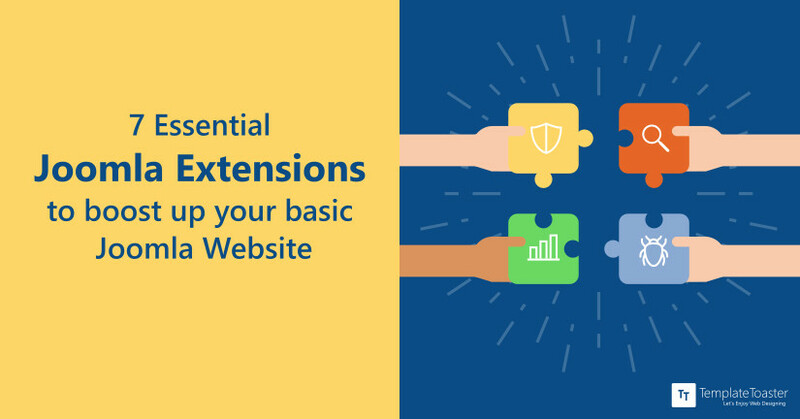 Have you prepared your Joomla toolkit for extensions? Well, every developer needs some Joomla extensions to bend the site as per his will. But to choose from 8K+ Joomla extensions is not an easy task. So to make your job easier I have devised a short list of must-have Joomla extensions!! Joomla extensions are great to get your brand new website to the next level as they provide a solution for content, images, caching, security and adding other improvements. The powerful Joomla extensions make the Joomla management, an effortless task. But choosing the right extensions becomes a dilemma for the beginners as about 5 extensions are added to Joomla Extension Directory each day. The number of Joomla extensions keeps on increasing. So, the beginners never get the satisfactory answer to the question that “Which is the best Joomla extension for SEO, security, performance or user-tracking?” But, this is no more a secret as here at TempleToaster web design software,I am going to introduce the list of 7 essential Joomla extensions. All these will cater the different site requirements. You can rely on this list to upgrade your website. So, let’s dive in to see the details. What Joomla Extension Categories to Consider? Joomla has an exquisite collection of extensions in order to offer added functionality to a website. 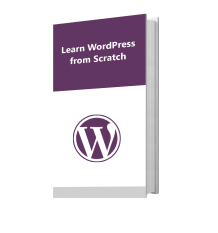 The ultimate objective of all these extensions is making your website up-to-date and faster. The basic features to grow your business are security, SEO, speed, user-tracking, preventing spam etc. So, I have listed down some of the best Joomla extensions to cater these needs. The main factor to consider is compatibility. All the Joomla extensions, discussed here are compatible with Joomla 3. So, feel free to download these extensions and upgrade your site. 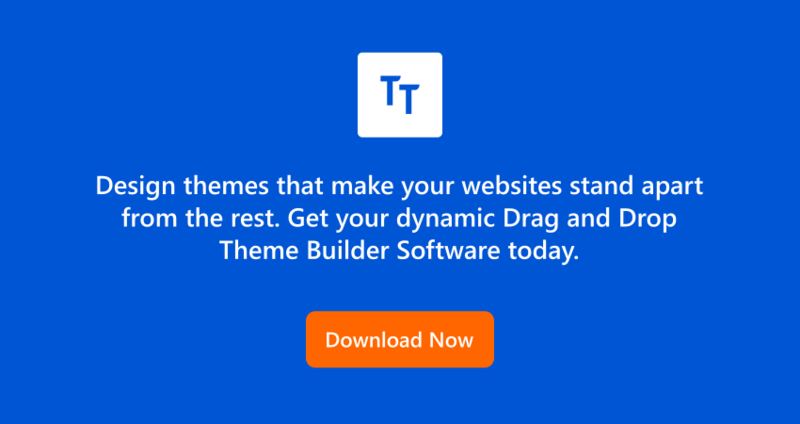 If you are thinking to redesign your Joomla site or create Joomla Template, you can pick the best & easy to use Joomla Template Builder software and website builder. As it is fully compatible with all below-mentioned Joomla extensions. You can also read Joomla code snippets and Joomla Template Framework. JoomSEF is responsible for advanced SEF URL management. Easily generates, overrides and manages metadata. Facilitates keywords management and duplicates management. Provides 3rd level domain support. Supports for other components through extension modules where each has own configurable parameters. Gives multilingual support and URL localization. Provides UTF-8 URLs support and URL caching. Also, It does the URL source tracing to help allocate problematic code. Manages the 301 Redirects and 404 Page Not Found customization. Facilitates online upgrades and extension installations. Has a configuration Wizard that configures itself for optimal operation automatically. Has the fastest and most reliable native PHP backup engine. Akeeba provides a single-click backup. Facilitates an integrated restoration for same server restoration. Transfers your site between servers fast and easily with site transfer wizard. Has two options to store a backup with standard ZIP or highly efficient JPA archive format. Excludes specific files, folders, specific database tables or their contents. Useful for transferring your site between subdomains/hosts or even to/from your local testing server. Even the archives can be restored on any host. Inserts Arithmetic problems to protect forms like – Addition and Subtraction. Embeds hidden input fields recognized by spam bots only. Puts a Time-lock and a self-defined question. Supports many 3rd party extensions such as Honeypot Project, StopForumSpam, Akismet, Mollom, reCaptcha. Provides SQL Injection and local file inclusion protection. Gives the backend protection with a token. Responsible for the protection of core forms – contact and registration forms. Has an Auto-fill facility which helps to enter values automatically in the field if the spam check was not solved. Shows spam check only for guests. AdminExile is a highly rated free Joomla extension. It stops the serious attempts to access your site administrator page. It redirects them to the homepage, 404 error or somewhere else. Provides an access key having both key & key value for URL protection. Blocks configured users from frontend login. Responsible for lost/forgotten link recovery. Has IPv4/6 Whitelist & blacklist with CIDR capability. It does the Brute Force detection and blocking. Sends the Brute Force notification emails. Supports the Live data reporting. Combines background images in a sprite. Minifies and gzips aggregated files. Excludes individual files or files from extensions that do not aggregate well. Getting high traffic is the ultimate objective of the businesses today. So having an extension for tracking your visitors is quite important and CoalaWeb traffic would be a nice option for that. It will let you view the traffic information in both front-end module and admin control panel. It is developed by Steven Palmer. You can download it for free. Provides an easy blocking and monitoring facility through IP list. Gives a quick reference assistance. Allows to view visitors in the format – IP, Browser type, Browser version, Platform (Operating System), Referrer Link, Date, Time, Assigned Name and Location. It has Lock time of minutes. Gives quick reference statistics with the Control Panel. Digital counter – with 8 styles. Visitor information – IP, Operating System, browser type and browser version. Time and date display in format. Set of layouts including counter widths and module. Show options for a month, week and others. Text changeability for different visible fields. Cache Cleaner extension is a fast and easy way to clean your Joomla cache. For this, you need not switch to Joomla Cache Manager again & again. This extension will provide you an easy access along with the Status bar. It uses Ajax, so there’s no need to reload the page. It can clear the temp folder too. So, Which Joomla extention you use ? Extending the functionality of a website is essential to stay competitive. And, there is no doubt that a right Joomla extension will serve your purpose. With its endless features like security, backup, cache, SEO, and ease of use, you can enhance the working of your websites in few clicks. As now, you have a clear view of best Joomla extensions, you can choose the suitable extensions for your website. Got some more extensions in mind or you think I missed some important ones? Mention them in the comments below.